pls guide me the function of log in to facebook,can't access since yesterday bought X8. is the back cover hard enough..
because if u open the cover for 3/4 times it gets loose..
do u have same issue with the new one,,or it's ok ?? 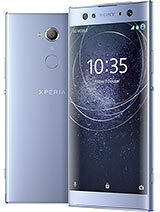 After using my 'new' XPERIA X8 for a month now. It's lightweight, decent GUI, and pretty responsive, loud speakers. However, the battery is o-kay but there are ways for it to last longer on the SE site, the matte white casing feels a lil cheap but i've replaced it with the shiny black back and matte front casing (from ebay) and imo it's ALOT nicer now and finally i wish they had a flash led and autofocus for the camera. Other than that, for the price i paid for it ($230cdn), the phone is great; it exceeded my expectation and I'm very content that I chose this phone. I'll be rooting the phone once i'm sick using version 2.1. I am getting very annoyed at the way this phone is now restarting itself several times a day. This problem is common in many se models. guys How to make video calls in X8??? This phone doesn't have a Document viewer, Can i add this application bu bying it?